Houman David Hemmati, M.D., PhD. is Co-Founder and Chief Scientific Officer of aesthetic medicine company Levation Pharma. He was previously Vice President of Medical and Clinical Development for New Therapies at Capricor Therapeutics, where he helped drive promising new therapies including the exosome platform toward clinical development. He previously served as Director, Clinical Development at Allergan, as Clinical Scientist in the Ophthalmology Therapeutic Area on several Phase 1, 2, and 3 studies . 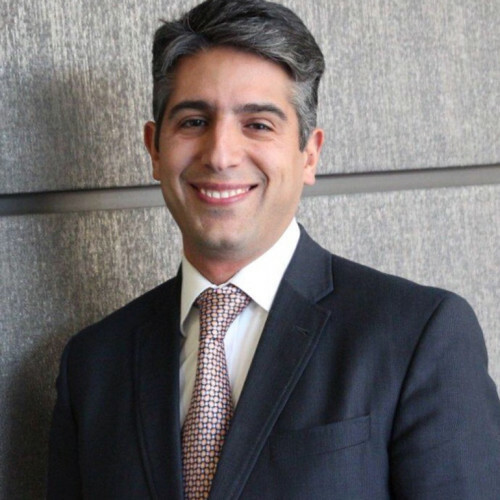 Dr. Hemmati is a Board-Certified ophthalmologist, and is also presently Adjunct Assistant Clinical Professor of Ophthalmology at USC Keck School of Medicine, where he serves as Attending Physician at LA County USC Medical Center. Previously, Dr. Hemmati served as Assistant Professor of Ophthalmology at the University of Vermont School of Medicine, and was a clinical/scientific consultant to Noveome, Access BridgeGap Ventures, Boston Consulting Group, Griffen Rose, Kaplan, and DJF ePlanet Ventures, and also co-founded Avicenna Pharma, focused on cancer stem cell-targeted therapeutics. Dr. Hemmati earned an B.S. in Biological Sciences at Stanford, an M.D. from UCLA , a Ph.D. in Biology from Caltech, and completed an Internal Medicine internship at Stanford Hospital, an ophthalmology residency at the Wilmer Eye Institute at Johns Hopkins Hospital, a postdoctoral fellowship in Chemical Engineering and Drug Delivery at MIT, and a clinical fellowship in Cornea and Refractive Surgery at the Massachusetts Eye & Ear Infirmary, Harvard Medical School. Dr. Hemmati has received numerous awards and honors including The Alcon Research Scholar Award, and the Everhart Presidential Distinguished Lectureship from Caltech.